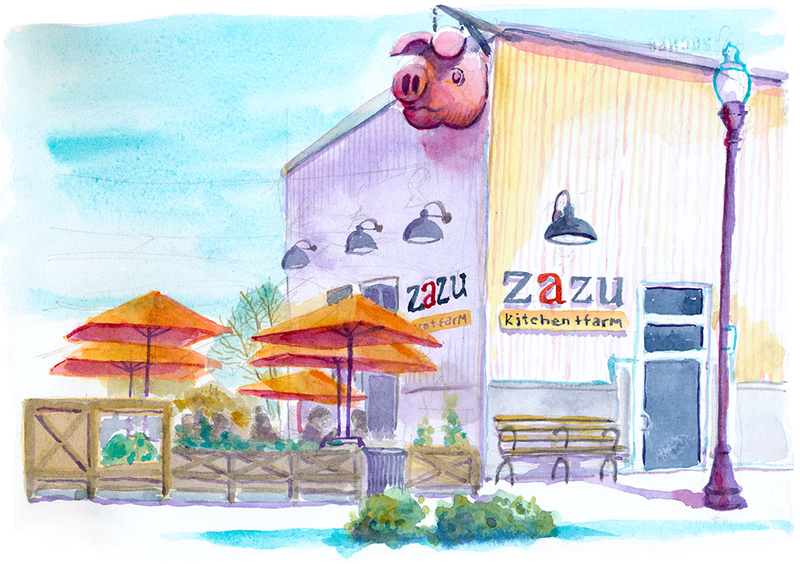 Zazu Kitchen – Ready Set Sketch! The Zazu Kitchen, located in the Barlow section of Sebastopol, CA., is an authentic farm to table restaurant. They grow much of their own produce and put together the menu after hunting through the gardens to see what’s ripe. A great place for lunch or dinner. Previous Previous post: Ready, Set, Sketch: Sebastopol! Next Next post: Ready Set, Sketch: Railroad Square Santa Rosa!